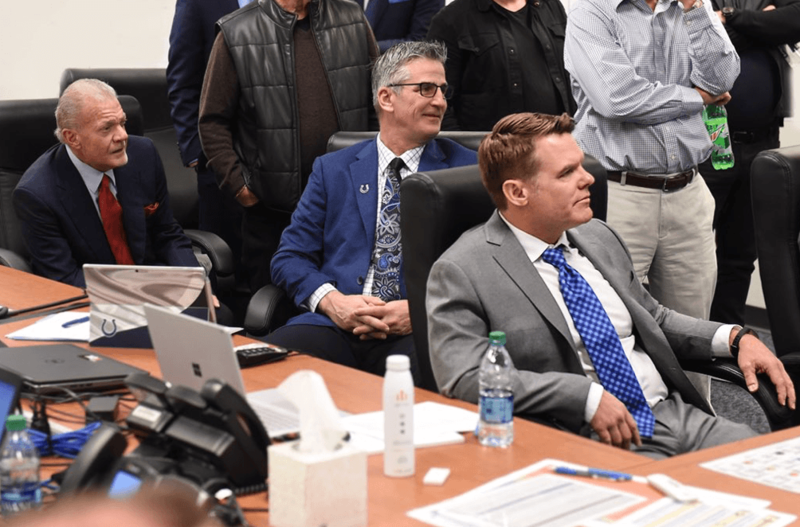 The Indianapolis Colts head into day two of the 2018 NFL Draft with an elite player in their hands as they selected Quenton Nelson sixth overall. Now the real work begins as they look to add more quality to this team, and they will definitely get the chance to do that as round two begins. There are some surprising names still available that could make a big time impact on this roster. Derrius Guice, Harold Landry, Josh Jackson, James Daniels, and Will Hernandez were all thought to be 1st round players but now they find themselves still waiting to be selected. The Colts should have a shot to grab two of the names mentioned above with their first two picks of the night, picks 36 and 37. The Browns, Giants, and Browns again will go on the clock in front of Indy and some of their needs match up with the players on the board. Despite the Colts are in good shape, so now lets talk about which of these guys are a priority. To me the top name for the Colts to consider is LSU running back Derrius Guice. Guice the number two running back on my board, a player I felt should have gone last night. He ferocious running style and willingness to be a bell cow fits well with the Colts plans of pounding the rock more. He would be the perfect contrast to Marlon Mack who ideally will be the teams pass catching back in certain offensive looks. The second priority player is Iowa corner Josh Jackson. Jackson, much like Guice, is the number two player at his position on my board and would be an excellent fit in Indy. The departure of Rashaan Melvin for Oakland makes corner a pretty big need as the team is looking for someone to pair opposite Quincy Wilson. Jackson is a freak athlete who can get turnovers in coverage so he really is an ideal fit for the Colts in the early stages of round two. With Guice and Jackson ideally heading to Indy at 36 and 37 that leaves pick 49 in the second round still in the Colts possession. Look for them to target more defense with this one. Boston College’s Harold Landry would be an excellent choice if he falls that far, as he would fit well in the Colts new look 4-3 defense. The Colts have lacked dynamic pass rushers for a long time now, and Landry would provide that look. His fall has been surprising to say the least with a lot of draft analysts expecting him to go in round one. Harold Landry at Boston College. If the Colts don’t take Landry at 49 they could go with Texas linebacker Malik Jefferson. He would plug right into the 4-3 scheme and give the Colts a solid backer. Keep on an eye on BYU’s Fred Warner as well, as he might be a nice third round option for the Colts at linebacker. One other position the Colts may look at is wide receiver but I expect that to be a day three pick, given the depth at the position. There are a lot of ways Chris Ballard and company can go with their picks tonight, but this is what the trade was all about. They were looking to have extra picks giving them the flexibility to get the players they wanted to improve this roster. Tonight should be a fun one so buckle up Colts fans. I’ll have plenty more tonight from the draft in Dallas on twitter @PBPNick.